Deutsch: Berg Kinyeti — im Sudan, Blick nach Osten . 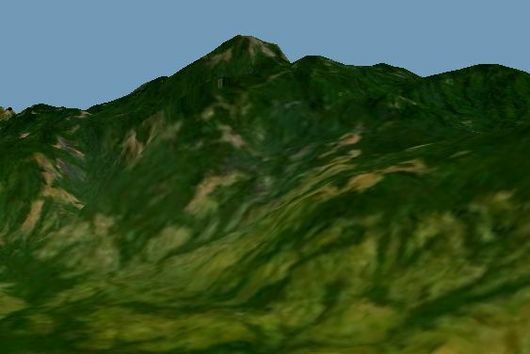 English: Satellite view, east face of Mount Kinyeti — of the Imatong Mountains range, in Eastern Equatoria state, southeastern South Sudan. At 3,187 metres (10,456 ft), it's the highest point in South Sudan, and of the Imatong range. Satellite-image created with Nasa World Wind.